famous Havana's district Miramar Playa, is best known from its villas and hotels, as almost all embassies are located in Miramar. Due to the Architecture of Miramar this was an area favored by Cuban bourgeoisie. Those with the highest incomes, the so-called Cuban "saccharocracy" of the nineteenth century, lived in Miramar where architectural eclecticism predominated, with neoclassical and baroque touches example the Miramar architecture style is Montecarlo Place . One of the most important buildings here is the Miramar Trade Center. This is the biggest and most modern office center in Cuba. 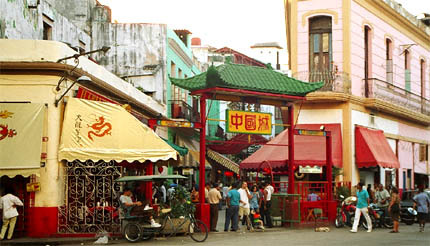 It's located in the small area between 17 and 84 streets. Miramar has to offer for tourist is "Melia Habana" Displays the impressive luxury of a true five stars hotel, with great green spaces freshened by tropical breezes. This hotel is in a perfect location at the edge of the sea. It has impressive interior gardens and 405 rooms with 4 suits, all with terraces overlooking the Gulf of Mexico seaside The 4000 sq foot swimming pool, all the gardens and woods cover 4 hectares around the hotel. At the street 16 No 701 in Miramar, not far from the tunnel, continue north at 5th Avenue then turn right to the "Casa del la Moda".
" 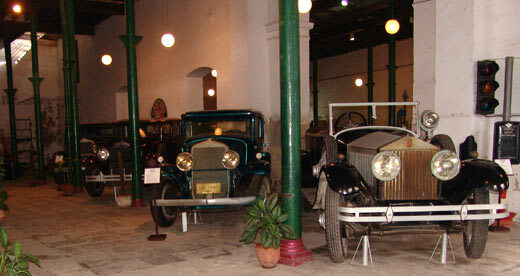 La Maison," Havana's fashion center. Boutique "la Casa de la Moda Cubana" and the restaurant There are also fashion shows at night. The National Aquarium, which offers dolphin shows, is also located in Miramar at shore. To north along the Malecon in Vedado you will pass " Hotel National," the city's finest hotel. The night show at the swimming pool is worth visit, starts at 10 pm. Also you can enjoy the big hotel's patio with the beautiful view. Continue north all the way to Barlovento on Avenue 5 thru the Miramar for a distance of about 7 km you will approach the finest Havana Yacht Port, "Marina Hemingway" with one of the finest hotels in the region. " Jordin del Eden" The Port hosting a large numbers of private yachts from around the world, this is end of city. by colonial style steel fences, at the left corner from the main entrance grows a large old tree. This is a special luck tree. Cubans believes that if you walk three times around the tree, it will bring you luck and prosperity. I observed people walking around the three tree times, after I also walked around it for luck. Cubans believes if you get wet at the first rain in May, when the rainy season begins, it will bring you luck. 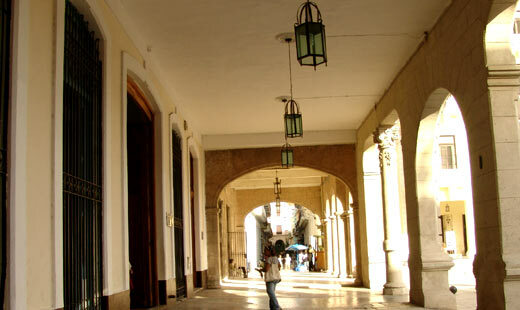 Down to Havana Center at the narrow street Obispo. Under No. 465 there are two private Art galleries on the opposite side of the street at the right site is a paintings exposition in two small separate rooms on street level, at the left is an entrance to the first floor of the largest Art gallery "LAMA" run by Frank Vasquez Diaz. gallery offers for sell Cuban modern art, mostly paintings. One of Havana's prettiest courtyard fountains provides a backdrop to this romantic restaurant, that's an Old Havana landmark. At the left corner on Empedrado street you will find "La Bodeguita Del Medio" home of " mojito" drink, this world famous much copied restaurant immortalized by Hemingway has served up classic Cuban dishes for 50 years. La Habana Vieja, is certainly not just the magnificent architecture and the museum and art gallerias that leave their mark on visitor. It is also the vitally of the local character, that makes this a destination worth discovering. 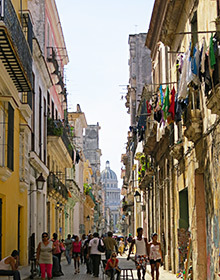 Though not distinct from La Habana Vieja, a short distance west lies the municipality of Centro Habana. Reigning over this entire area, is the hugely imposing Capitolio Nacional commanding and beautiful with huge bronze doors detailing Cuba's history it presides over Centro Habana with grandiose omnipotence. Just inside the entrance, set into the floor below a 60 meter high dome, is a 24-carat diamond from which all distances in Cuba are measured.Next to Capitolio Nacional you will find the finest cigar factory "Partagas". North from the Capitolio nacional and you will eventually arrive at the to Bay of Havana and the fortress, Castillo de San Salvador de la Punta, that guards it. 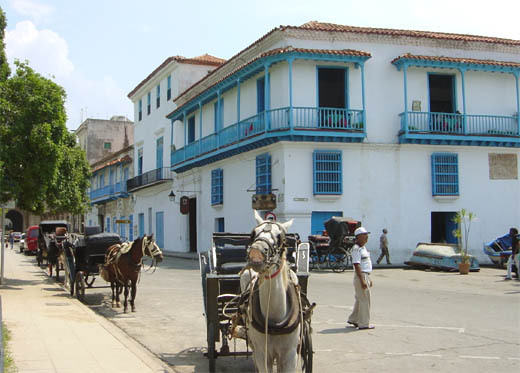 To the west, the Malecon also called Avenida de Antonio Maceo, continues for many kilometers along Havana's cast. Looking upon the straits of Florida. Along this stretch of sun backed, wave-battered boulevard is the old US Embassy and the neighborhood known as Vedado. 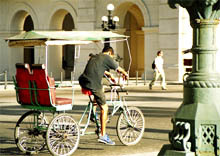 America established a strong presence here at the turn of the 20th century, and within a short period of time, Vedado become a hot destination, prospering greatly under Batista. Decant nightclubs, casinos, bars and restaurants. A good place for inexpensive meal in Vedado is restaurant "Wakamba" about 200m from Malecon on "O" street between "23" and "Humbolt" . The restaurant and bar Wakamba, has been open since 16 of July 1956 as an inauguration of the film "Wakamba" made for the American Museum of Natural History, it was one of the first cafes in Cuba with gastronomic service. 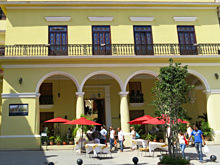 You can also enter the restaurant from "La Rampa" the Art Theater and Cinema. "Wakamba" is a word of African origins, it is a sub region of Kenya - East Africa. Decent meal cost is about CUC 7. cold beer for CUC 1.50 Completely by coincidence I visited "Wakamba" with my Cuban friend, Kenya. Cubans and foreign tourist who are enjoying Havana's warm nights.